How to order our fresh, sustainable, locally caught seafood. One of the joys of fishing is that every day is different, and you never know what will be in the next creel or what will decide your hook is worth a bite! However, this makes it difficult to guarantee that a certain species will be available on any given day. If you decide that you would like to order from us, the best thing to do is give us as much time as possible to fufill your order. The more time we have to catch what you are after, the more chance there is we can get it for you! So, if you are planning on staying on Iona or the Ross Of Mull for a few days or more, give us a call or email as far in advance as possible and we will see what we can do! Sometimes, when the fishing is good, we will have extra catch available. This is often the case with mackerel or when the prawns are ‘on’. Check our Twitter feed regularly to see what is on offer and if you are on Iona keep an eye on our information board at the top of the pier which is updated regularly with what is available. We offer free delivery to any address on Iona. 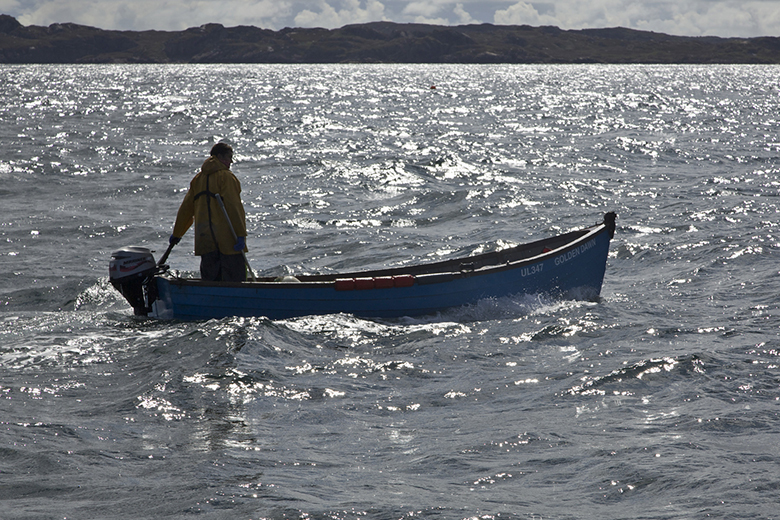 If you are staying on the Ross Of Mull, contact us to discuss delivery options.